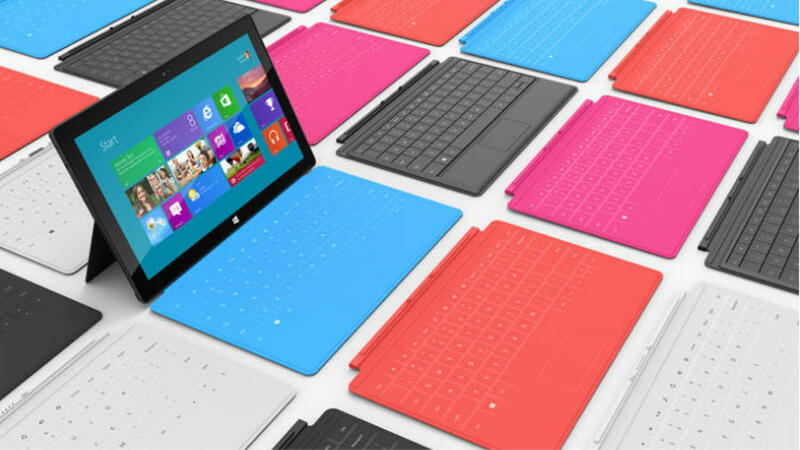 You can get shocked after buying the new Microsoft surface 128GB version and check the free disk space, you'll find that there is only 83GB of the SSD space is free for use, that's what Microsoft announced about their new tablet which uses the company's new OS Windows 8. That mean the installed version of Windows 8 will require 45GB of space to run, all that space may be for something like 20GB for Windows and the rest is reserved for temp files and the virtual memory and for sure there will be somthing like hibernate file that uses so much space to boot the tablet fast at sleep case, and if that's the case, you'll find an easy solution to gain back all that space by disabling such boot options, no information about the 64GB version, but for sure Microsoft must not pass 20GB of OS reserved space or it will get some bad sales results. The good news is that Surface Pro tablets will come with a USB 3.0 port to connect external storage devices at high speed, a microSDXC card slot and 7GB of free space with SkyDrive, users can find alternative solution for space, and here I guess a software solution, I advise to compress the NTFS disk space and that will make you gain at least 20% of the used space and to install a cleanup tool, that way wont get hurt too much. Flash drive with 240GB of storage and 300MB/s !